Each pack has 12 A4 sheet(s) of edible wafer paper (rice paper). 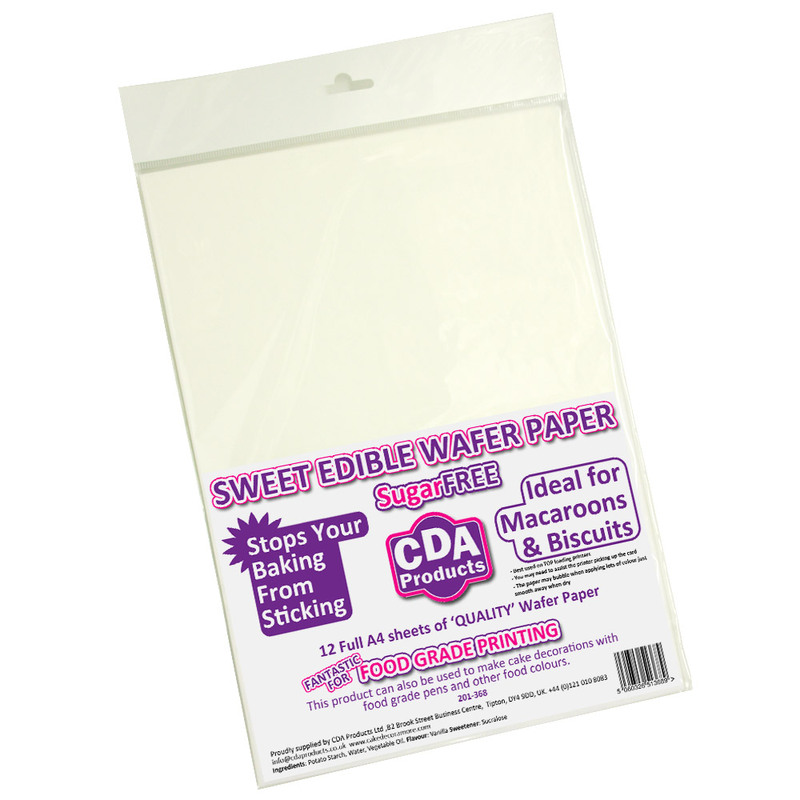 Our most popular pack of edible wafer paper. 12 sheets of full A4 size QUALITY wafer paper. We stock edible wafer paper & edible wafer card in both A 3 & A4 sizes in packs of 3, 6 & 12 sheets and in a variety of colours and thicknesses.